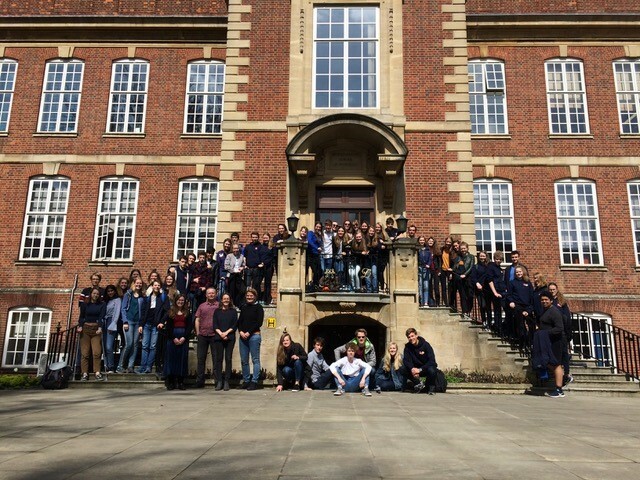 A group of 50 high-achieving 16-18-year-old students from secondary schools in and around Utrecht (Holland) visited the Dunn School of Pathology on Tuesday 17th April 2018 as part of a U-Talent programme trip to the United Kingdom. The visit comprised several talks and a tour around the Dunn School building. The main talk, given by group leader Dr Eva Gluenz, focused on the history of the Dunn School and its role in the development of penicillin for medical use. Dr Gluenz also highlighted other discoveries that have originated from the Dunn School since and shared her current research on Leishmania mexicana with the students. This was followed by two Dunn School PhD student talks by Scarlett Harris (Sattentau lab) and Heather Jeffery (Nieduszynski lab). After summarising their research, Scarlett gave insights into life as an undergraduate at Oxford, including the college system and applications, while Heather discussed her experience as a graduate student. The subsequent tour around the Dunn School, which Daniel Fonseca (Carvalho lab) also helped with, included a visit to a research lab, the penicillin exhibition, and a tour through the rest of the building, with emphasis on the portraits of important scientific figures with a key role in the history of the Dunn School. “It was wonderful to meet such a large group of young students with a passion for science and to learn about the U-Talent programme, which provides opportunities for these students to get some hands-on research experience in addition to their normal science curriculum”, said Dr Eva Gluenz, the lead organiser of the event, on behalf of the Dunn School. 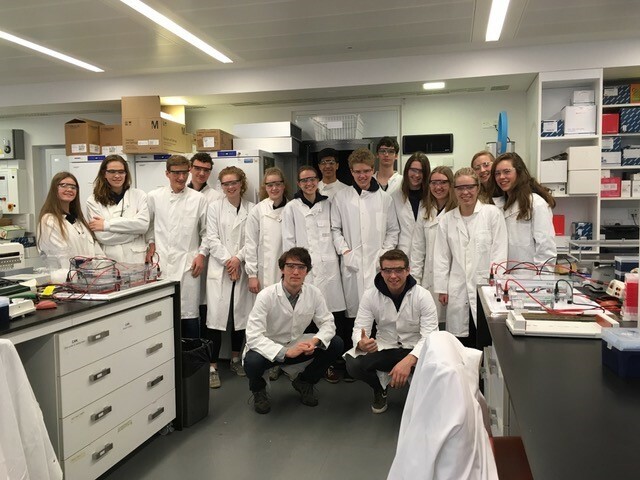 The students were part of a U-Talent programme, which is coordinated by the Freudenthal Institute, and involves cooperation between various science departments within Utrecht and local secondary schools. The aim of the programme is to encourage and inspire talented young scientists within the local area of Utrecht. Whilst in the UK, the students also spent time at Bletchley Park, the National Museum of Computing in Bletchley and the Natural History Museum in Oxford.